Premium costs will rise from next month. 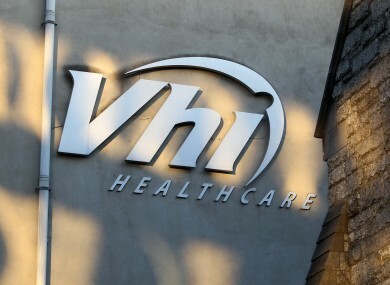 VHI HEALTHCARE IS to increase the price of its premiums by an average of six per cent from next month. According to a statement issued this morning, the health insurance provider said most plans will see increases from 1 March. This is the fifth price rise in about two years, the most recent being in November 2012. Vhi blamed the latest increase on the growing number and cost of claims, as well as an ageing customer base and costly medical innovations. It also called the Risk Equalisation Scheme ineffective, stating that it had previously warned of insufficient cover for the healthcare costs of older customers. Chief executive John O’Dwyer called for a “fairer distribution of risk throughout the market”, claiming that there is still an incentive for insurers to “cherrypick” younger and healthier customers. “The reality is that while Vhi Healthcare has 56 per cent marketshare we are paying nearly 80 per cent of the claims. This puts significant pressure on our cost base,” he said. Today’s increases will see the popular One Plan Choice cost about €103.50 more per year for two adults and two children. Email “Vhi confirms further price increases”. Feedback on “Vhi confirms further price increases”.